Ever wonder what all those Japanese guys are talking about on all those videos? Want to know what some of them really think about drifting? Here’s a look behind the curtain at the recent Formula Drift Japan round held at Fuji Speedway, thanks to Yousuke Suga at SC Films. You’re drifting a sedan the right way when you’re looking out of the rear door’s window. This was Daigo Saito today during qualifying for tomorrow’s D1GP Round 5 at Ebisu Circuit. 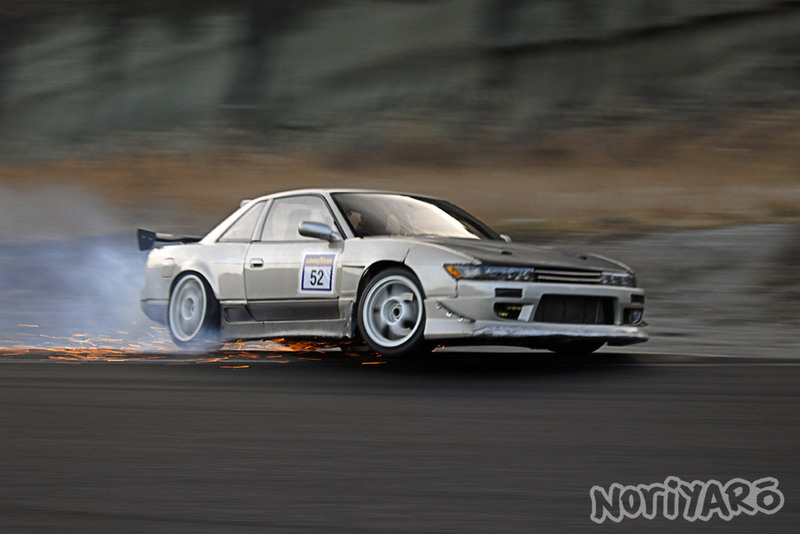 Here’s a short video from the 2014 Summer Drift Matsuri at Ebisu Circuit on Higashi Course. One of the biggest reasons I go to Matsuri these days is because Higashi is usually only open for drifting during those events, apart from the occasional High Speed Drift Club. Rain on Higashi can be a lot of fun, since tyres don’t wear down and cars don’t overheat quite as much. A wet surface even means I can easily click fourth coming down turn four. It does make it a bit sketchy to drive though! The three original Noriyaro Raw Drift videos now almost have a million combined views. Not bad for a bunch of stuff I just shot for fun on a cheap camera! If you have about half an hour you want to kill, you can watch the playlist here. Take a ride on the Tokyo Shutoko Central Loop Line starting and ending at Tatsumi Parking Area. Drift Tengoku editor Ryusuke Kawasaki’s R32 GT-R and Junya Nakata’s ER34 GT-t at Tatsumi Parking Area in Tokyo. Check out this edit of the Gatebil event at Mantorp Park in Sweden last month! 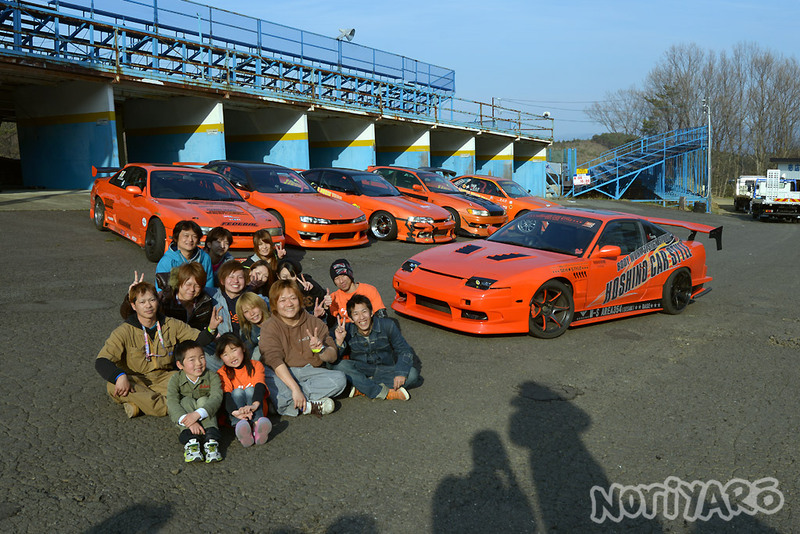 This was the one I took Tsuyoshi Tezuka to, so he could drift the new Team Driftmonkey guest driver car. I love the epic slide starting at 1:13 with all three Driftmonkey cars. That’s me on the interior GoPro with Tezuka. I didn’t actually drive at the Mantorp event and only rode passenger with Tezuka to get used to the car so I could drive at the next Gatebil in Rudskogen. Since I couldn’t drift myself at Mantorp though, I ended up getting pretty good at the Crazy Cart we had at the booth, which you can see at the 3:24 mark.